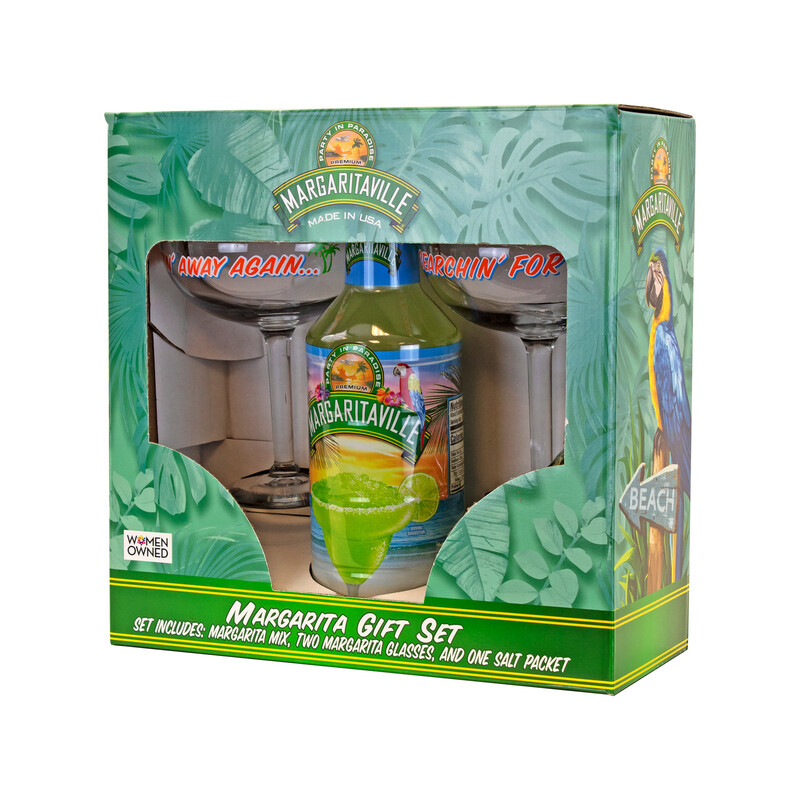 Create a party at any time with this fun gift set perfect for the holiday season. 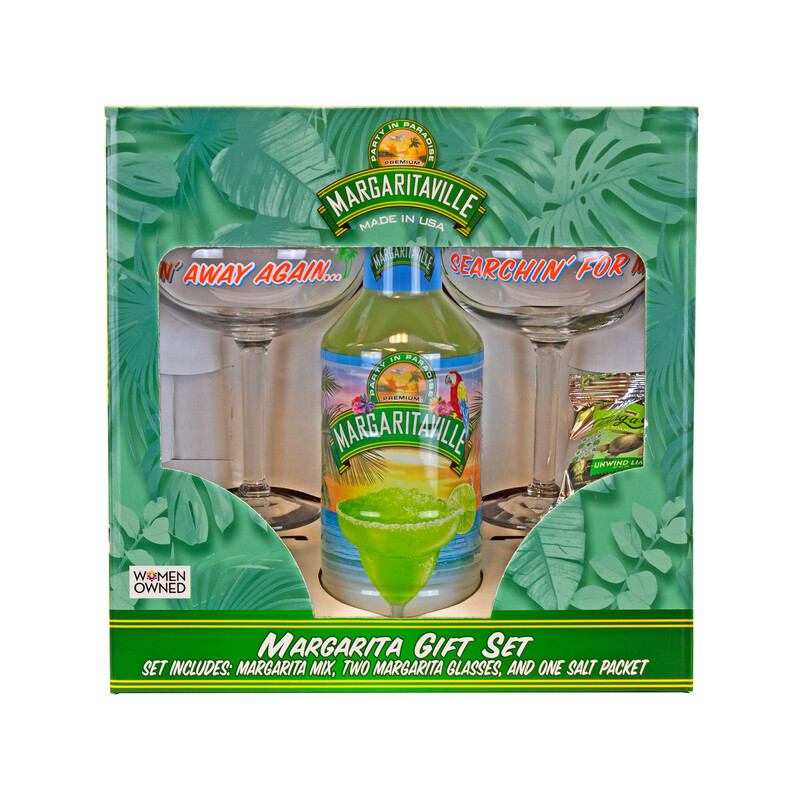 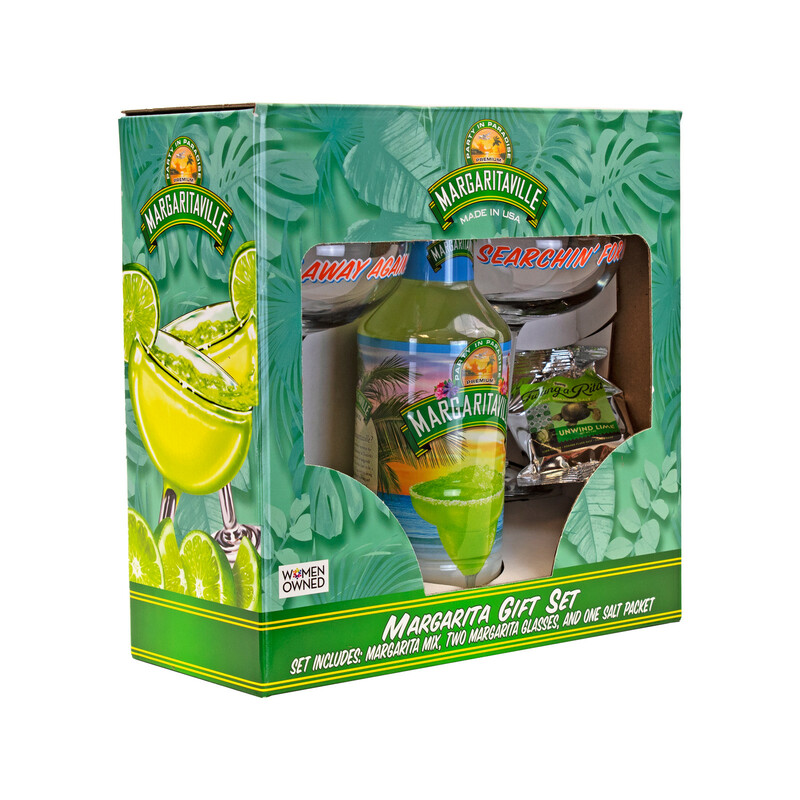 The Margaritaville Gift Set includes: 32 ounce bottle of Premium Margaritaville Margarita Mix, 2 Margarita Glasses and a packet of salt. 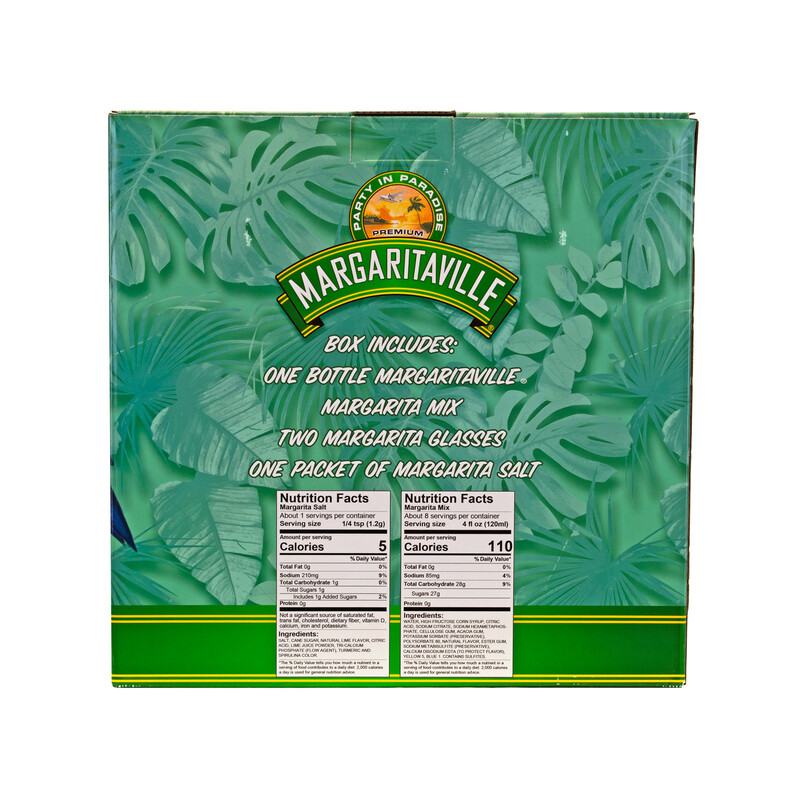 Glasses feature the phrase "Wastin' Away Again and Searchin' For My Lost Shaker of Salt."